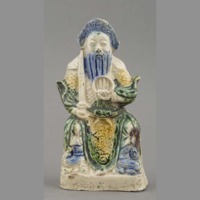 One ceramic figurine of a seated man grasping a ring in his left hand and a balancing a sword on its pommel in his right hand. 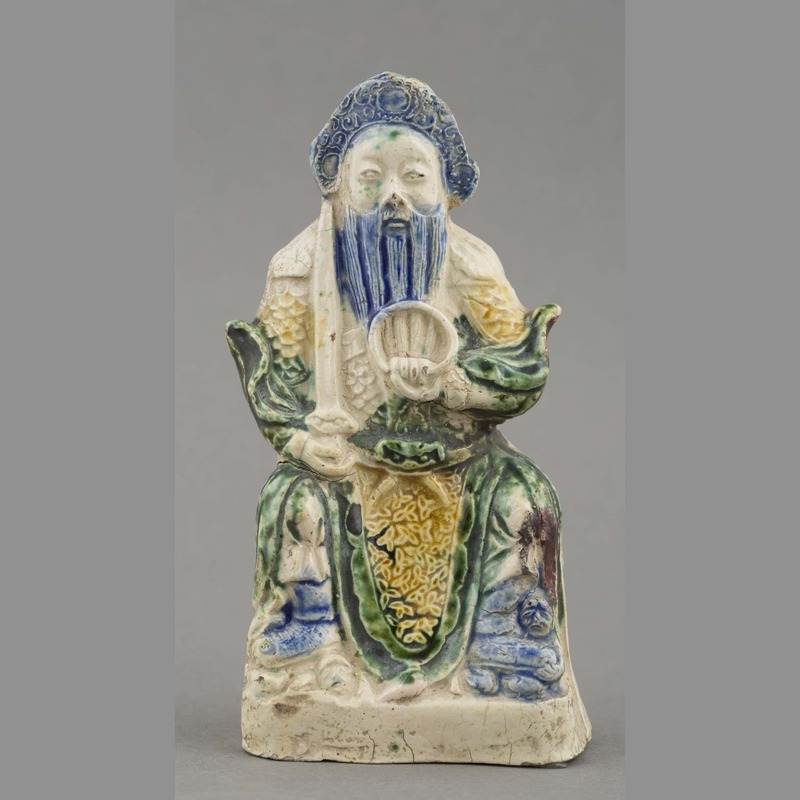 Figure is dressed in an elaborate headdress and robes and sports a long flowing beard. 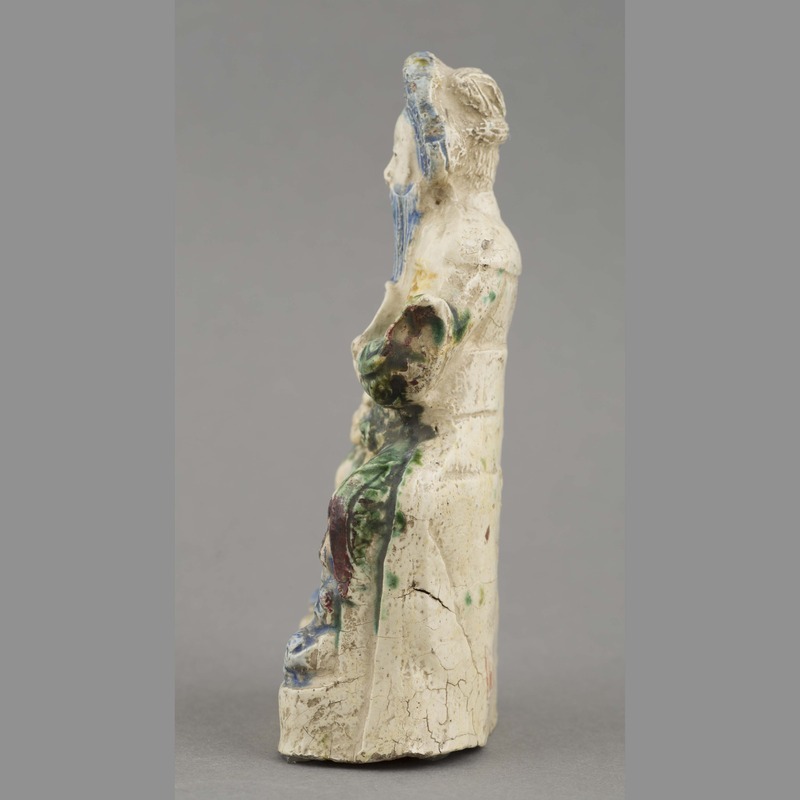 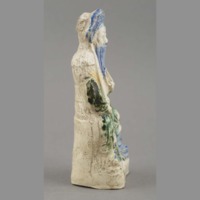 Figurine obverse is glazed cream-white blue green and yellow. 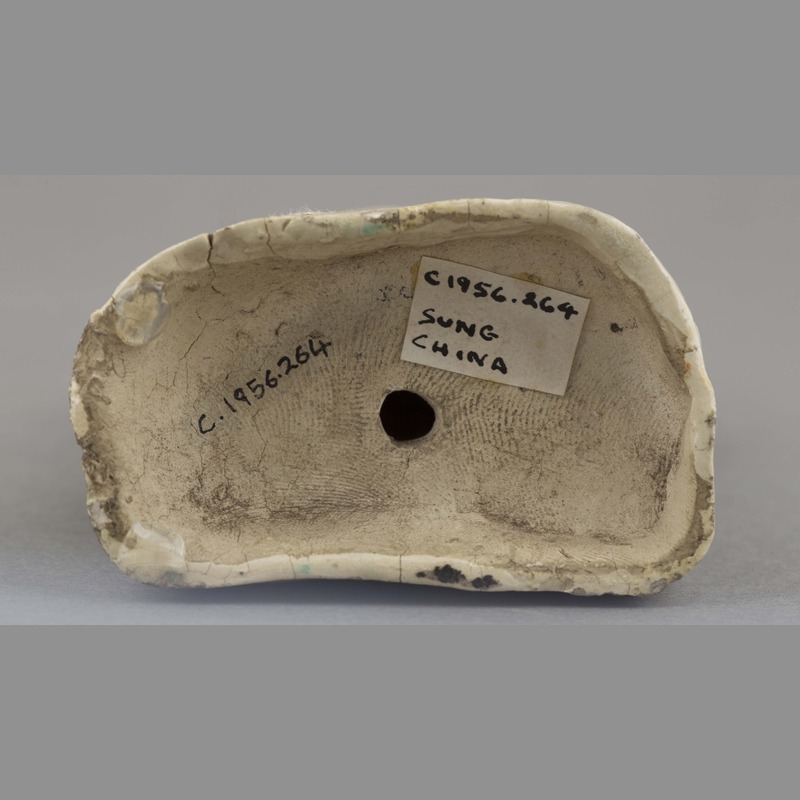 Reverse is unglazed. 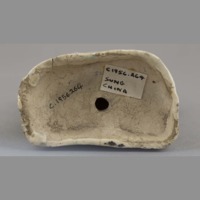 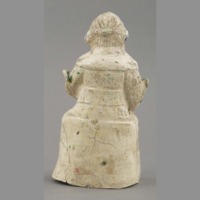 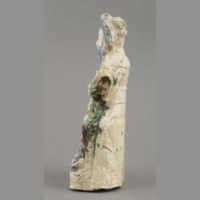 “Ceramic: figure,” China, Art and Cultural Diplomacy, accessed April 22, 2019, http://rewialleyart.nz/items/show/1071.